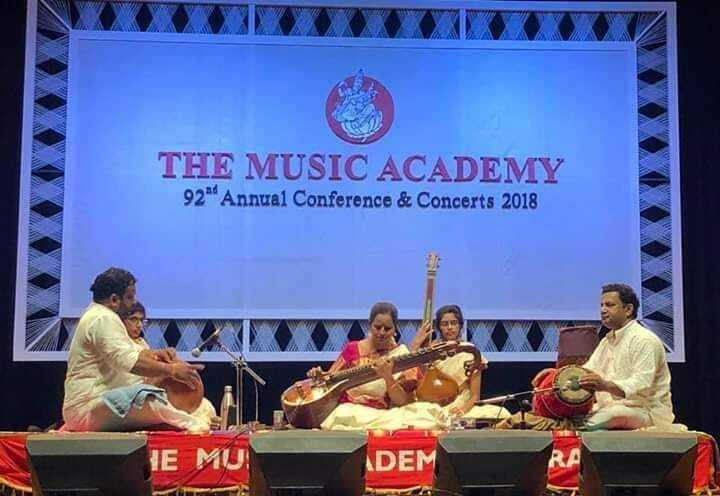 Another beautiful Margazhi season comes to an end. December has been a hectic month filled with travel, concerts and catching up with fans from all over the globe who visit Chennai to get their fill of music and joy! The warmth shown by the rasikas, by their presence and through their words, was overwhelming. The most cherished moments is when I met young vainikas and students of music who attend the concerts. 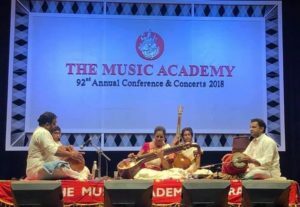 Their keen interest comes through with their questions on veena techniques and the music itself. 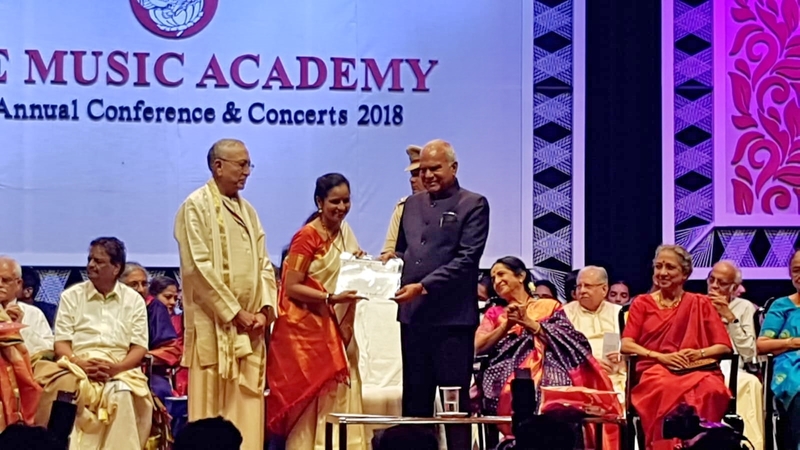 It was such a proud moment to witness my Guru, Vidushi Padmavathi Ananthagopalan ji receive the Vadya Padmam award from the Vice President of india on 2nd December, 2018. I was honoured to present the inaugural concert for Brahma Gana Sabha post the award ceremony. The New Year 2019 brought in musical and happy news. 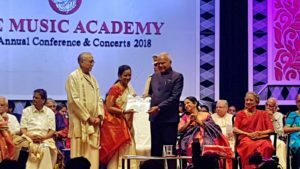 With the blessings of my Guru, I received the Senior Award for Veena at The Music Academy again this year. 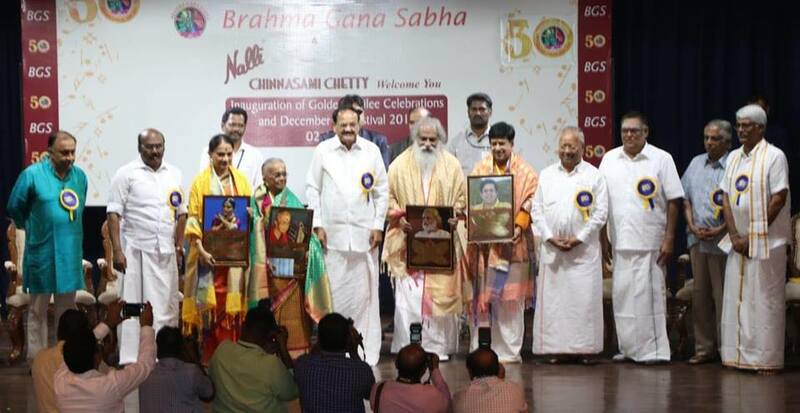 Received the award from the Honorable Governor of Tamil Nadu on 1st January, 2019. I wish you all a very happy and melodious New Year! Prayers for goodhealth and happiness for all..